IESPM will be present at SEPEM Industries of Toulouse from 26th to 28th of march. Come to meet us on our stand C28, Hall 1. IESPM will be present at SEPEM Industries of Douai from 29th to 31th of january. Come to meet us on our stand F18, Hall 7000. IESPM will participate to GFC technical days on November 14th and 15th in Paris. The program: Fluids in front of environmental stakes and in front of the technological evolutions in transport. The training calendar 2019 is available. Discover our programs and sessions for 2019. 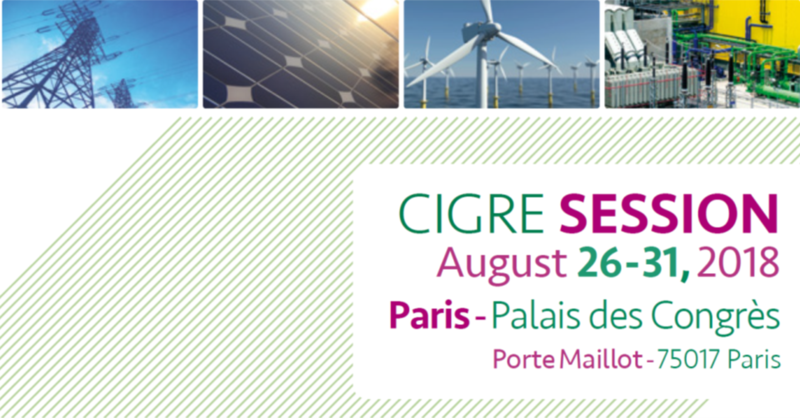 Meet us to CIGRE 2018 ! Our team will be pleased to welcome you on our stand at the CIGRE Congress. We will answer to your questions, present you our new services of fluids analysis, and advice you on electrical conditional maintenance. Within the framework of wind turbine maintenance, IESPM recommends to analyze the fluids of the strategic organs of wind turbines. The fluid analysis of wind turbines allows to anticipate the breakdowns, to plan each interventions, to master maintenance costs, to increase the availability of wind turbines and thus their productivity. Meet us to the SEPEM Industries of Colmar ! Our team will be pleased to welcome you on our stand at the SEPEM Industries of Colmar. We will answer to your questions, present you our new services of fluids analysis, and advice you on conditional maintenance. In 2017, our experts dispensed 27 trainings (more than 363 hours of training and 200 formed trainees). A very positive report which confirms us the interest of our clients in our trainings dedicated to oil condition monitoring. For the second edition of the SEPEM Industries of Rouen, IESPM had the pleasure to meet its clients and prospective clients of Normandie.